In the last year alone, cryptocurrency made a real breakthrough. Bitcoin rose in value by over 1000% in the calendar year, yet it still wasn’t even in the top ten best-performing cryptocurrencies, as the likes of Ripple, Ethereum and various others experienced even greater rises. With more mainstream coverage in the national press and stories of people making millions from these digital currencies, the crypto boom enticed many financial amateurs to begin investing. Before investing in any kind of asset though, good preparation and understanding is required to avoid great financial losses. Far too many people jump into the cryptocurrency game before they even understand what it is or how it works. A cryptocurrency is a decentralised digital currency, meaning that it is not controlled by a central bank as traditional currency is. Bitcoin was the first cryptocurrency developed, designed as a digital cash system with no central entity, instead it was built on a peer-to-peer network. Principles of cryptography are employed to keep everything secure from view of third parties. The basics of how cryptocurrencies work is through transactions, which are transfers of funds between two wallets. Every transaction is stored in a public ledger, with the confirmation of these transactions referred to as mining. The full process is a lot more complex, but in many ways, it works similar to Forex trading. Prepare for volatility, no matter which cryptocurrency you decide to invest in. As has been seen recently, at the end of 2017 many cryptocurrencies were reaching great highs but in the first few weeks of 2018 have plummeted. Bitcoin plunged by around 60% since the start of the year and various others were dragged down too. 60%… You heard that correctly. There has been constant speculation as to whether a cryptocurrency bubble has been slowly growing and getting ready to burst or if it will bounce back. Unlike traditional currencies, the likes of national politics don’t affect their value, but instead are closer to volatile commodities, as there is a finite number available. Before investing in anything you must create a strong, researched and thorough plan of action. Even though there has been a lot more mainstream attention, in many ways you should treat dealing with cryptocurrencies as speculating rather than investing. There are very few businesses that accept any cryptocurrencies as a form of payment, with many of the market highs down to people jumping on the back of a trend. Invest conservatively as there are going to be many more ups and downs. Plus, if it turns out to have been a bubble, then big losses could be on the cards. Research people! It’s common sense! As with any investment, the best time to buy cryptocurrency is when it’s at a low price (though you don’t want to invest if its value is on a constant slide). There are plenty of charts and analysis tools available to view price history, pick up on trends and attempt to predict future movements. 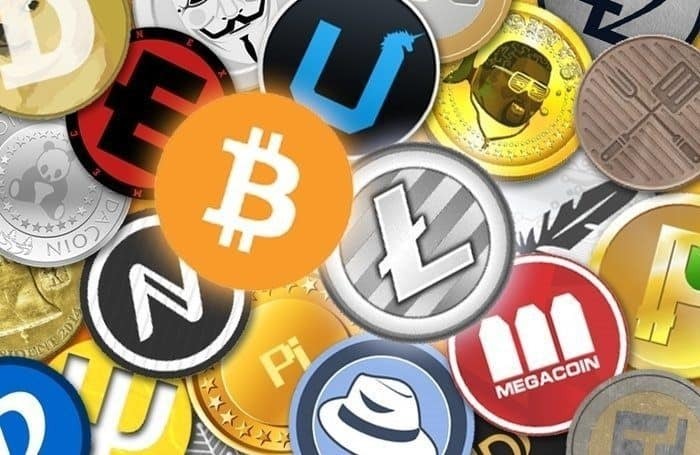 There are also a wide variety of cryptocurrency brokers out there, so researching the best ones to use is a good idea. Read the reviews, check any commissions or other charges and the security to find the best option. When you’ve got a better understanding of cryptocurrencies, the one you wish to invest in and a strategy, practise investing. If you already have some experience of forex trading, then it should be somewhat easier. Some demo forex trading accounts allow practice investments and trading of cryptocurrencies to be made. This will provide a good sense of what it’s like to work in the cryptocurrency markets, highlight how to spot opportunities, risks and generally make transactions. The best way to prepare for and get a better understanding of most things is by doing them. Demo accounts could seriously save you from making basic newbie mistakes with your real, hard earned cash. Don’t jump in to the real thing. Feel it out. Security is vital with cryptocurrencies, especially as bitcoin related fraud tripled in 2017. Using a highly secure wallet is a must, researching cryptocurrency exchanges and wallet software and ensuring they have positive reviews and reputable names behind them can help guarantee this. Common security tips such as strong passwords and two-factor authentication and being incredibly rigorous will all pay off in the end. By following these tips, it should mean you a re best prepared to begin investing in any cryptocurrency. Keep monitoring the markets to find the best time to begin investing, whether on a cryptocurrency on the rise or an emerging digital currency set to rise. Have you invested in cryptocurrency? What’s your wallet looking like? Leave a comment below.